This is a first for us. 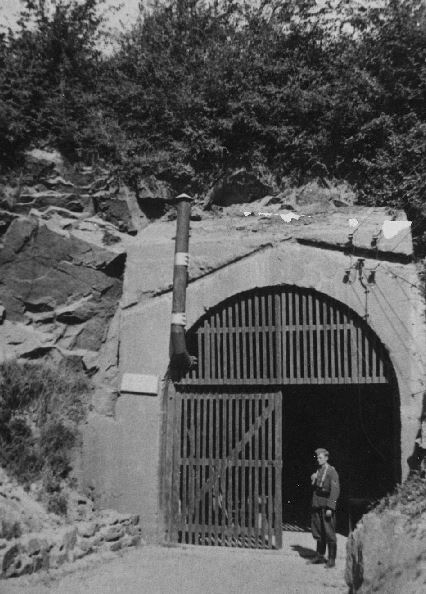 First property for sale on the island of Guernsey and first tunnel network. 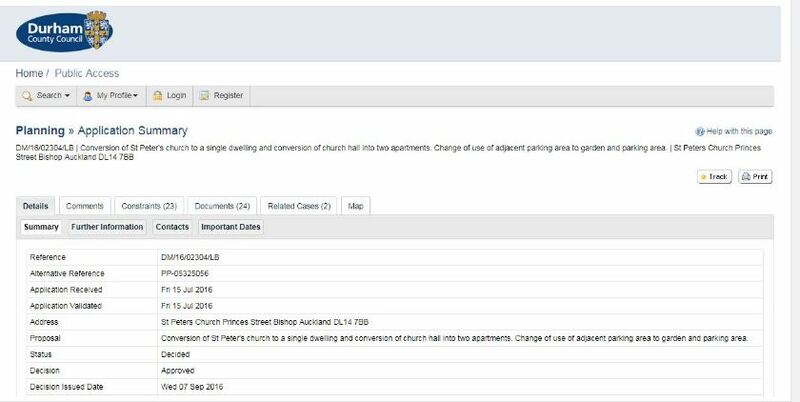 Not sure if there is any “listed” status – you will need to do some digging to find that out! 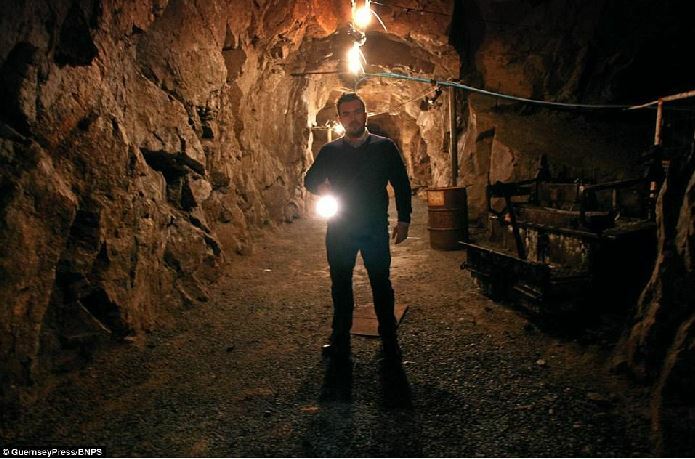 Recently we’ve feature several cave dwellings for sale and these have been quite popular. 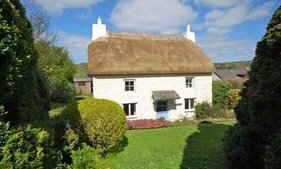 Given the high price of houses on Guernsey, there may be someone who will bring a little imagination to these dank places and transform them into a remarkable home. Though truth be told, from the torment of the labourers press-ganged into building these now redundant and creepy places, some things are better just filled in with rubble and soil, then left in peace. Sale page archived: click here. Location: Situated beneath St Saviours Church, Guernsey. Quiet Here & Busy There! Working there to guarantee the publication here can cope with the future. 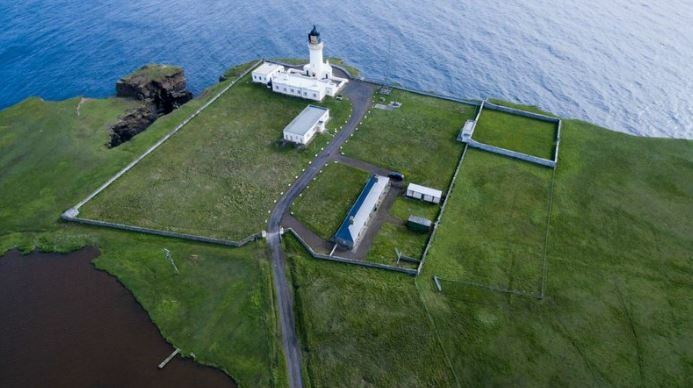 The new offices at the Noss Head Lighthouse Station, along with the new income stream we are sorting out is aimed at making this publication self-financing and secure in perpetuity. Not least, but our readership numbers are increasing at a staggering rate. Just 4 part-time volunteers are running something here that occasionally has the readership circulation numbers of a national newspaper! By securing an annuity (rental income) along with our new premises, this will mean we can employ some staff. The final result, towards the second part of this year will mean that we can return to the fuller, more regular Unique Property Bulletin that has been the helper in realising property dreams for countless folk over the past 25 years. 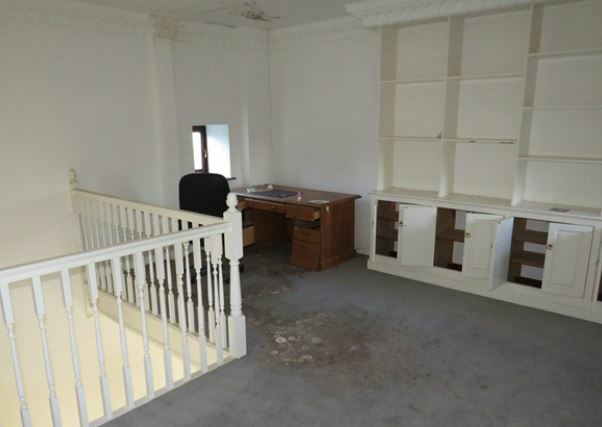 A far more suitable place to publish a Unique Property Bulletin than an old flat in Montrose! 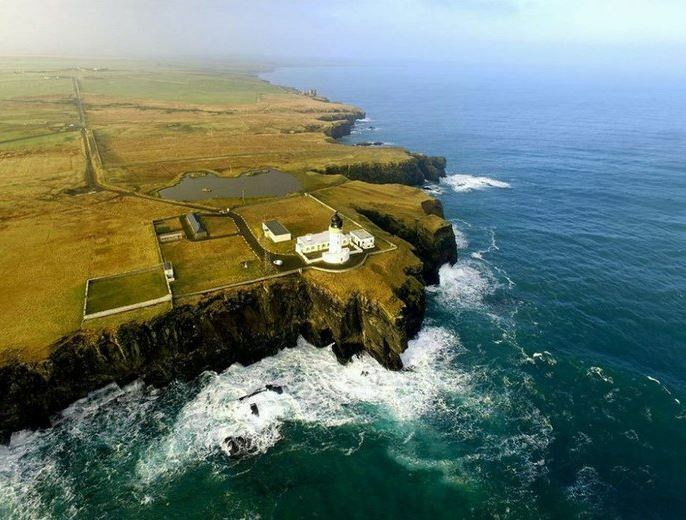 However, it is quite a big ask to secure premises and an annuity (to pay staff). Our small group of volunteers have been working very hard. It just happens to be offsite, and not that apparent to our dedicated, or casual reader. 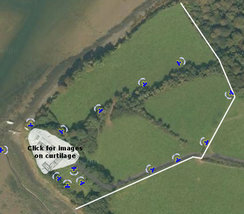 Please rest assured that we have completed the hard part and are now getting the final elements of phase 1 in place. 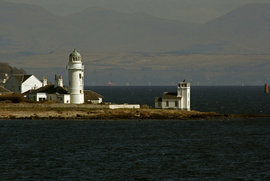 The Old Engine House – By Noss Head Lighthouse Tower. Just Sublime. 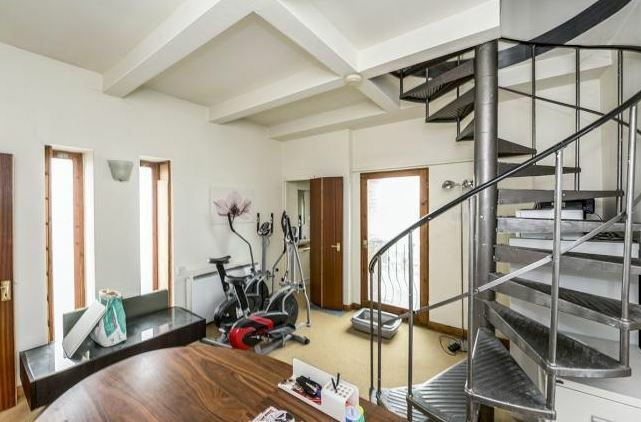 Look closely at the photographs, this appears to be an unhappy tower house conversion. As a consequence of studying the pictures, we reckon that the price is very negotiable. In fact it has already come down with a thump. However, without being too unsubtle, this has all the hallmarks of a bargain sale. 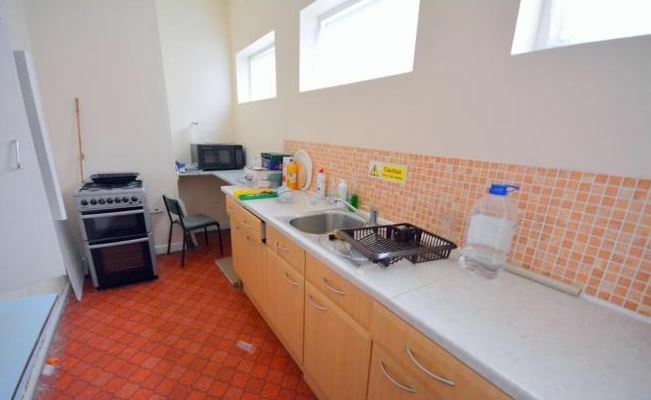 Currently the estate agents are looking for £319,000. …off of the price that is – not Henry the 8th wives’ heads department! From £550,000 in 2004 to £319,000 in 2018. How much more might be sliced off the tower price? Archive Brochure for future reference: here. 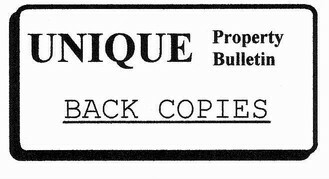 Is this inept assessment by an auctioneer, or undervaluation-buyer-baiting? 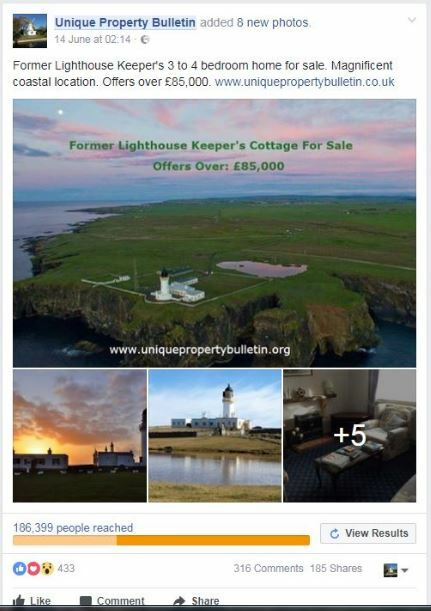 For years our not-for-profit Unique Property Bulletin has given free publicity to a diverse range of UK auction houses. Some, such as Roy Pugh Auctioneers even send the occasional thank you note. Our point? We and many of the 186,399 folk above have spent hundreds of thousands of pounds buying buildings from you. However, an increasing number of us are getting wise to some of the more questionable ways that auctioneers employ to fill their halls on the big day. 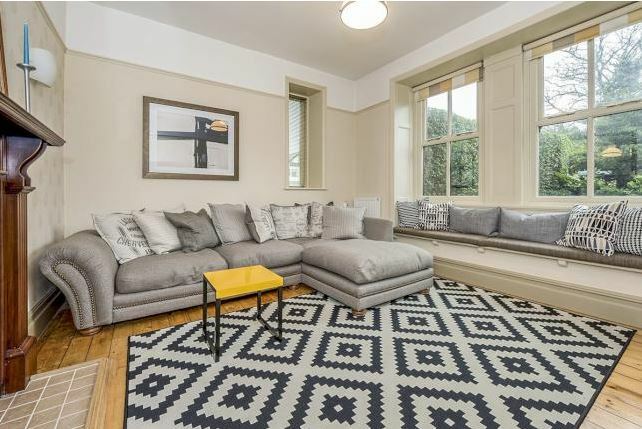 We are becoming more and more aggravated when supposedly reputable auction houses persist in recklessly undervaluing properties that are worth a huge amount more than various auction house mislead their customers into believing. 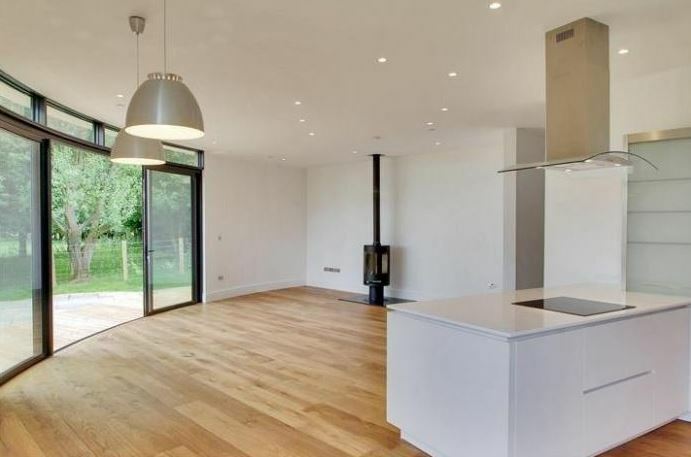 Hundreds of buyers each year spend their time, money and effort going to these auctions on a what is a de facto false prospectus. 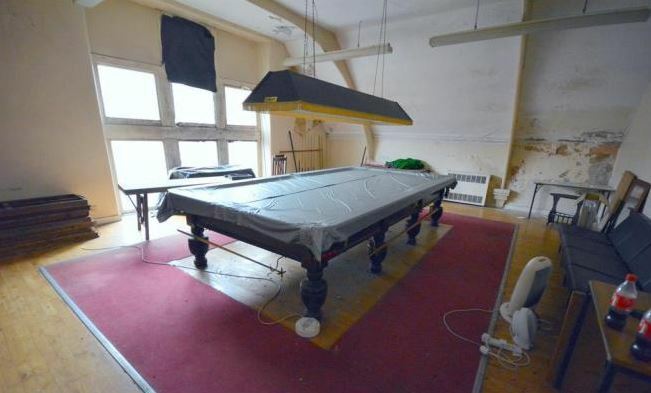 Our readers, and on occasion ourselves waste valuable time and money travelling hundreds of miles to attend an auction house when the local auctioneer knows – or should know – the values of their local properties. Yet get their valuation guide so utterly wrong. Time, after time, after time. What is the purpose of an expensive valuation person such as an RICS surveyor which the majority of reputable auction houses employ, if not to do their job with a reasonable amount of accuracy? We are braced for lawyers letters from one of several auction houses we are calling out on this disreputable practice. 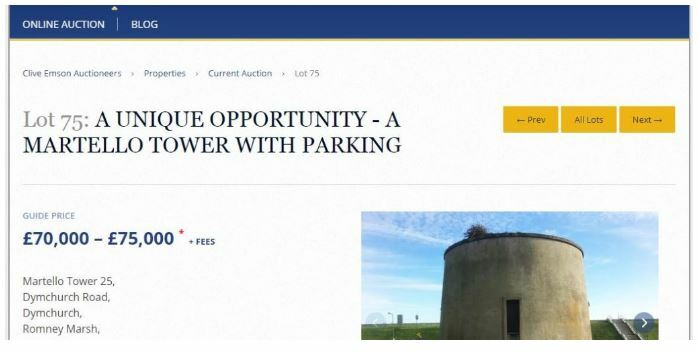 A well known auctioneer in the midlands (not Clive Emson & Co) already issued his own hard-man warning of dire consequences against us if we reported this issue. Auctioneers and estate agents threatening us doesn’t really work as we have old retired cops here at Unique Property Bulletin, who, in a previous career have arrested and taken murderers to Barlinnie jail. In fact the blue collar miscreants at some auction houses might care to think this through? 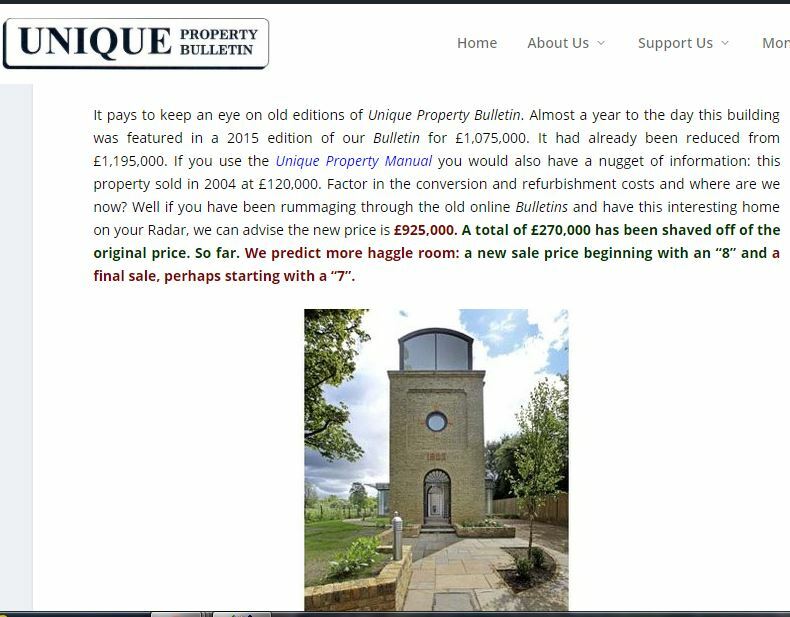 Instead of threatening an otherwise mild mannered website such as Unique Property Bulletin with a dungeon of unpleasant things, perhaps many auctioneers should look in a mirror? All we are asking for is that auction houses STOP getting their valuations so utterly wrong. The main culprits have their auction staff payroll stuffed full of RICS surveyors and property professionals who should know better. 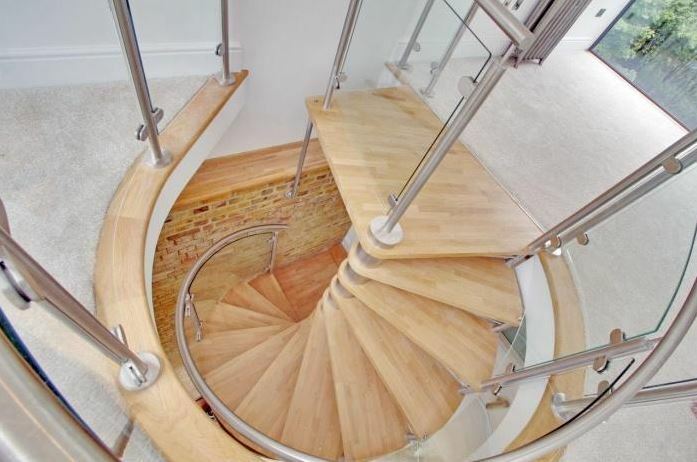 It is the cornerstone of their job to get a valuation within a reasonable distance of what a building is worth. Would you agree with that? Yes? No? Are we being unreasonable about this? 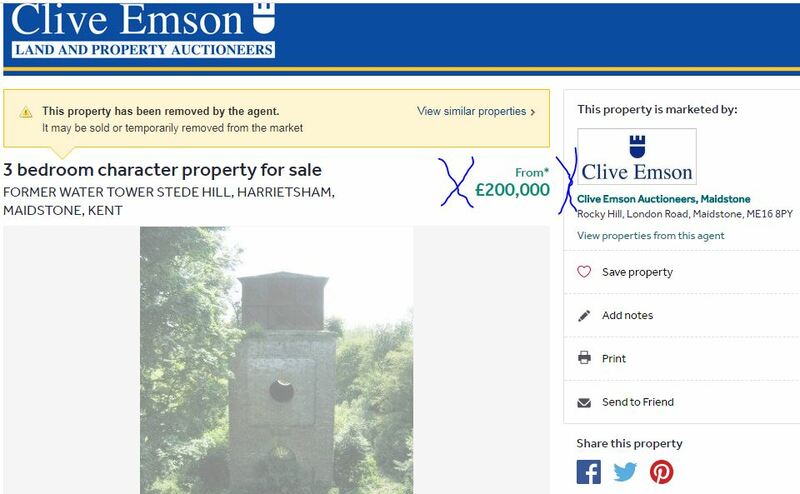 Instead of competent/accurate auction house property guides, we keep getting things like this ridiculous exhibit of the undervaluation-buyer-baiting problem from Clive Emson and company. 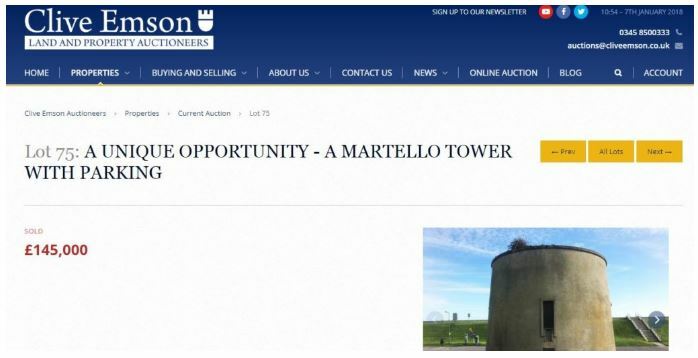 Their professional opinion is that Martello Tower 25 at Drymchurch was worth £70,000 to £75,000 as a guide price. 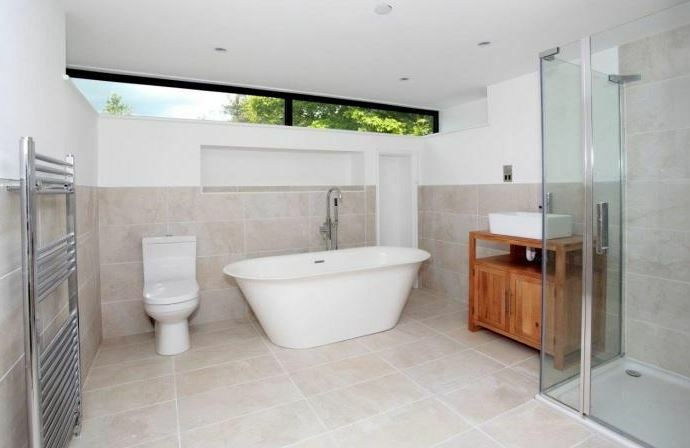 £75,000 and it actually sold for £145,000. Our hope is that the reputable auction houses will cease and desist this practice of undervaluation-buyer-baiting as a ruse to pack out their auction halls. But there is a materially important difference between fair dealing, where an auctioneer nudges folk into his or her hall, and the outright “Lovejoy” style of effort that some of the UK’s highest profile auction houses currently employ. Rather than persist in these questionable money making ways, just get the guide price valuations nearer to the actual worth! Or if one of these auction houses takes exception to us raising the complaint of alleged undervaluation-buyer-baiting, then hit us with a writ. We are used to collating and submitting proof to court at the higher standard (of beyond-reasonable-doubt) as required by criminal hearings. We certainly have sufficient evidence to counter-claim against an auction house on the civil court burden of evidence (in-the-balance-of-probabilities). Crucially there is a case to prove in that we and others have lost money – several hundred pounds each, taking days off and sorting out property purchase finance – to attend one of these defective prospectus auctions where the incompetent guide price valuation by a local property auctioneer draws prospective buyers in from hundreds of miles away, only to waste the time and money of dozens of people in their auction hall who have attended the auction based on what may fairly be described as a property misdescription. There has already been precedent set against Auction House (UK) Ltd regarding misleading the public (here). It is our hope that the reputable auction houses – and the ones whom we have given free publicity over the past 25 years – get their house in order well before this issue has to be tested at the ASA or HM Court. Firstly a Happy New Year to all of our readers. 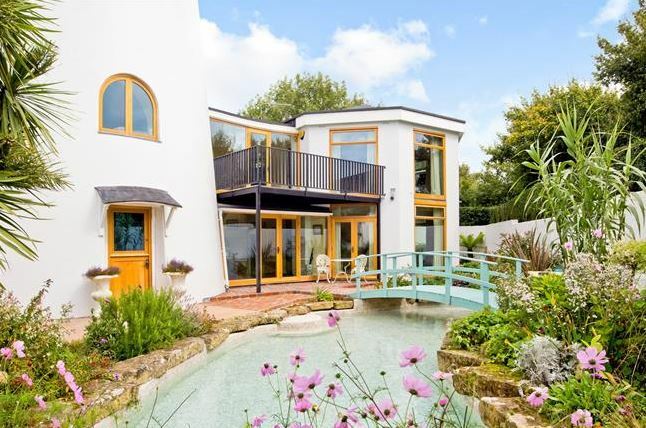 Patcham Windmill, Windmill Drive, Brighton, East Sussex, BN1 5HH. 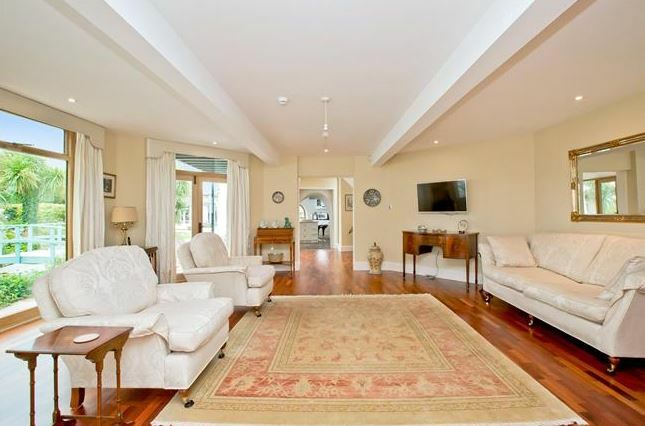 All Round – A Beautiful Home With Many Unique Features. 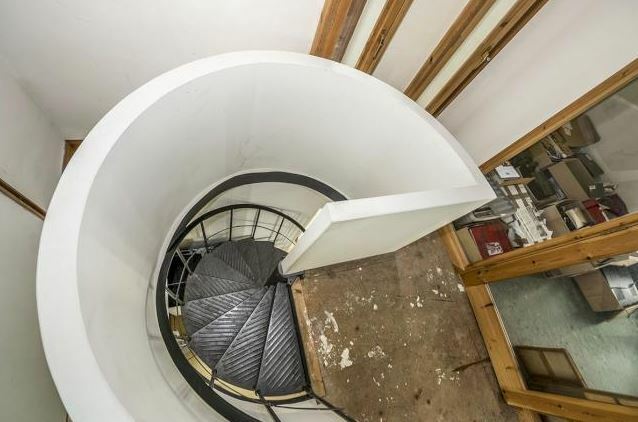 In total, around 11,964 square feet of temporal space to transform. 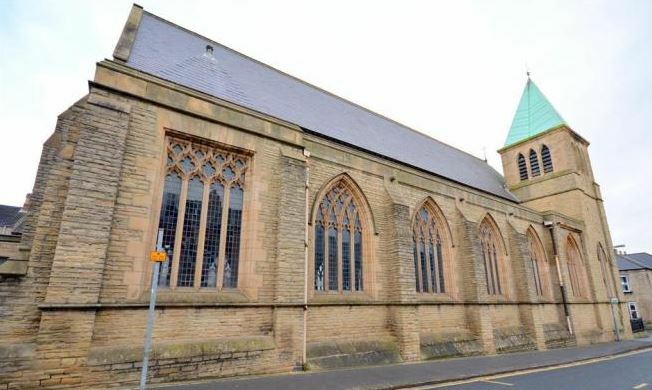 Planning permission has been given to convert this magnificent Grade II former church building into a 6 bedroom home. 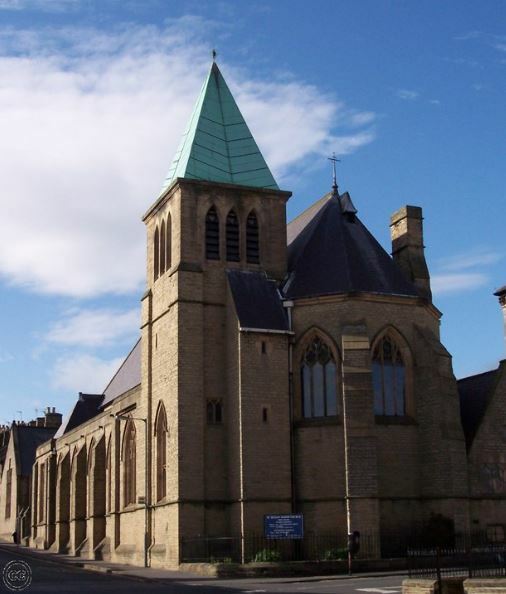 One of our regular readers is in the process of selling his church building. 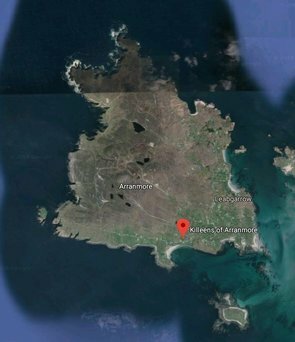 It is located in Bishop Aukland. 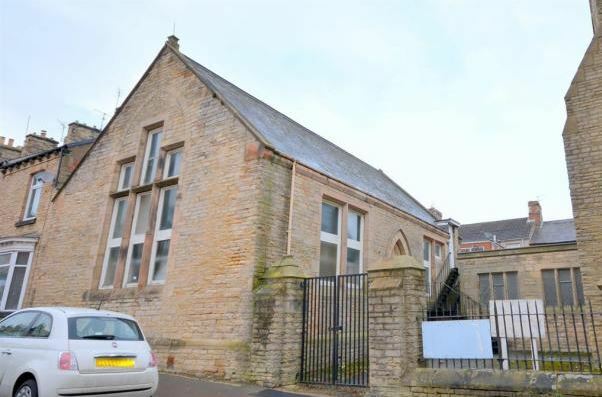 This is a little unusual as there is the main church for sale at offers over £295,000 and the option to purchase the adjacent church hall for offers over £110,000. 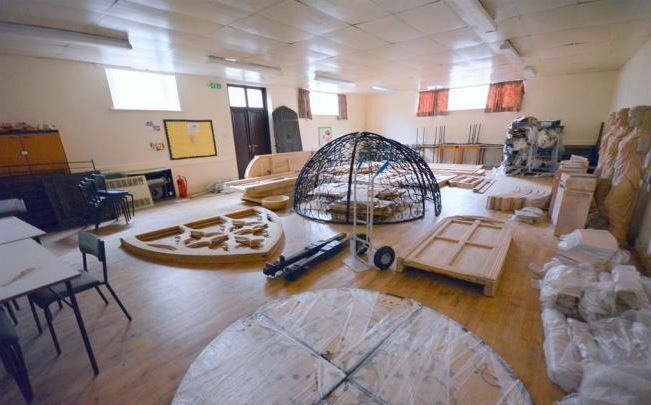 The main church building contains a wonderfully large space for you to let your creative talents run with full enthusiasm. 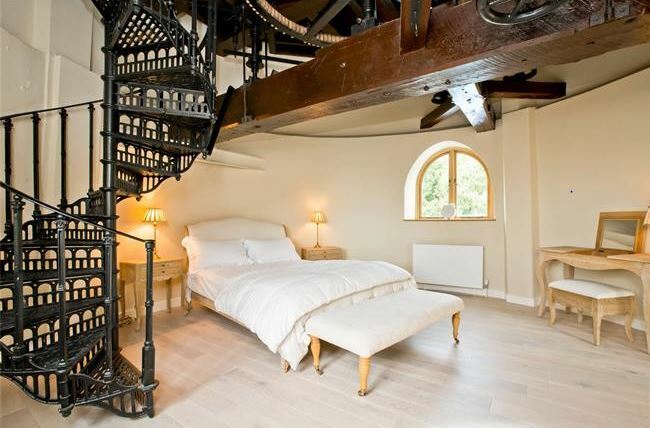 This Grade II listed building has some mighty fine character about it. The painstaking planning permission process has been progressed and is now stamped with that all important “approved” ink mark upon upon it. 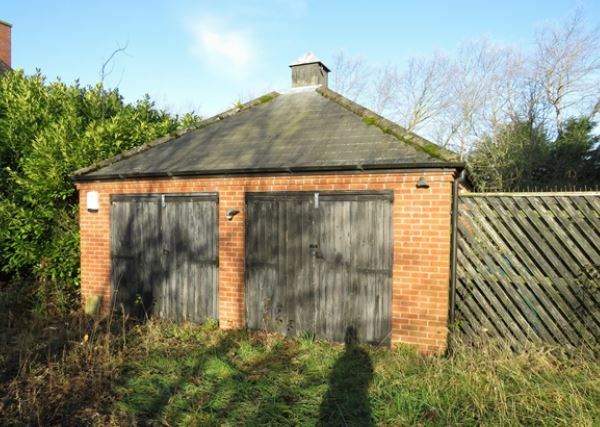 APPROVED – Planning Permission Given For Conversion To Residential Use. 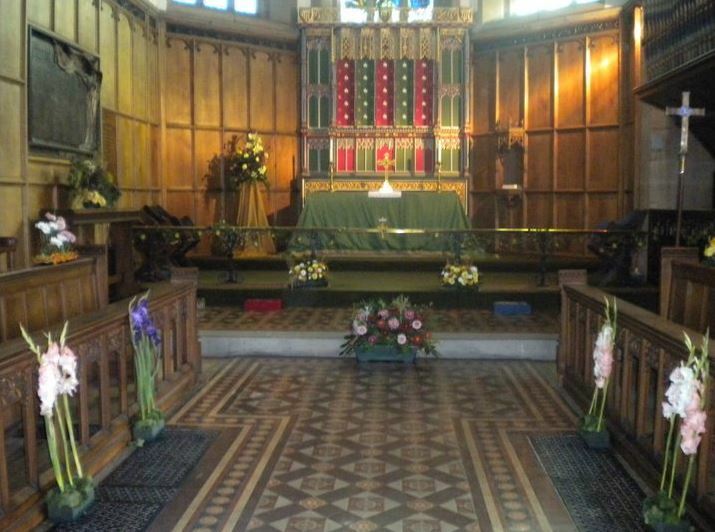 This allows the new owner of St Peter’s Church to convert this handsome building into a 6 bedroom home. 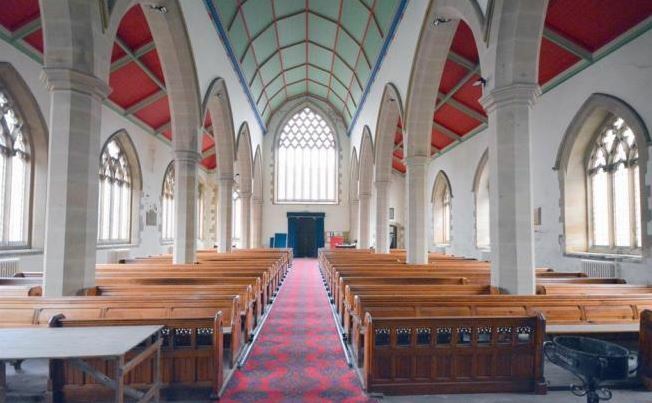 This church is for sale with a £295,000 guide. Meanwhile, the hall building next door has plans approved for two x 3 bedroom apartments. 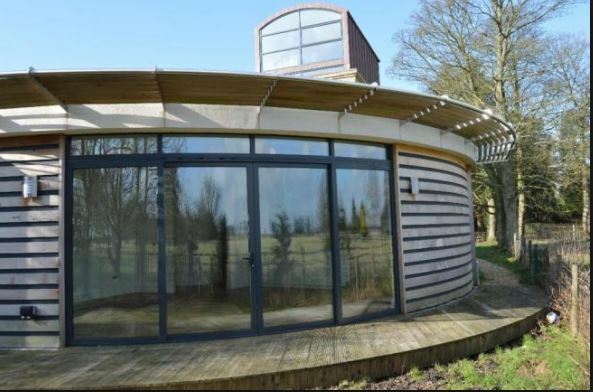 Not only is this an unusual building to convert, but the style and character of the plans are fairly unique too. 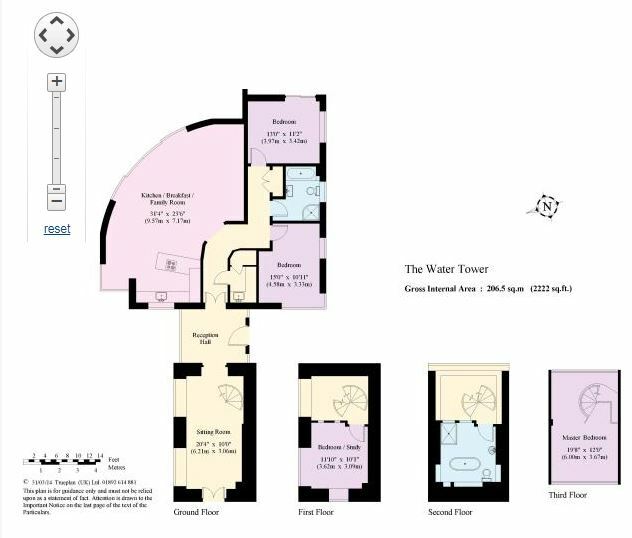 We particularly like the angled bedroom layout as can be seen on the floorplan drawings. All in all, this project is a breath of fresh air. 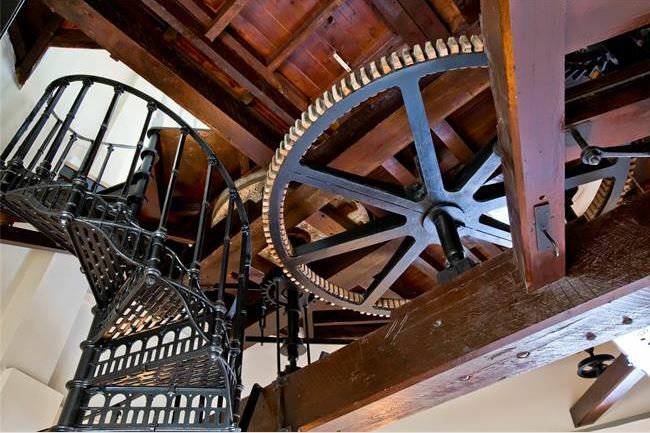 The architects and owners have put a lot of thought into how best to sympathetically convert this distinguished and much loved building into a new use. 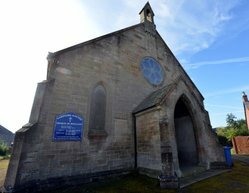 Without which, it might, like many listed buildings, just fall into disrepair. Someone, somewhere is going to have a fabulous home when this project is completed. Actually there are three people/families who will benefit as we have 2 x 3 bed and 1 x 6 bed potential with the plans as currently passed by the local council. It is strange to think for those of us at a certain age, who grew up in the 1960s and had much Laurel & Hardy on the old black and white television, that Stan Laurel emigrated to America 100 years ago in 1917 where is film career took off. 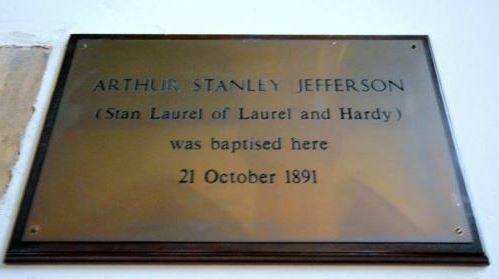 But, in a way, it all started here in this local church. 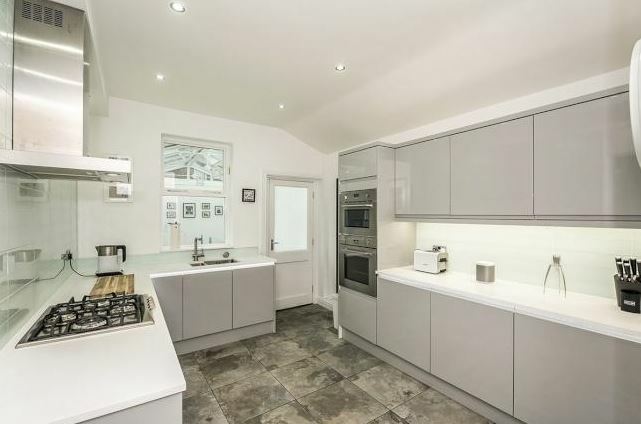 Price reductions so far: £325,000. 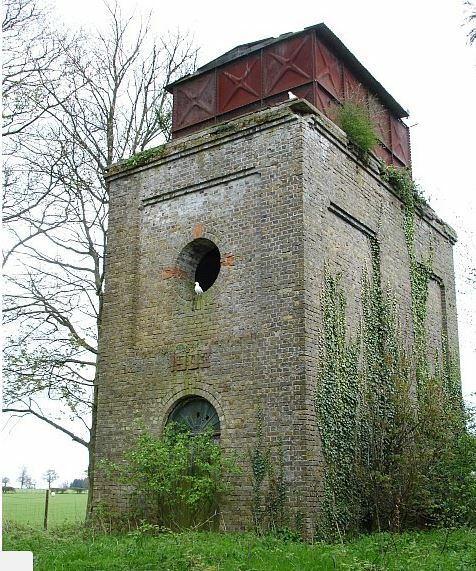 Stede Hill Water Tower, Kent. 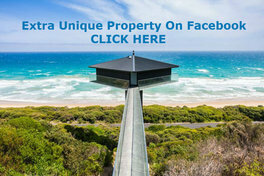 This listing has attracted huge price savings with possibly more to come. 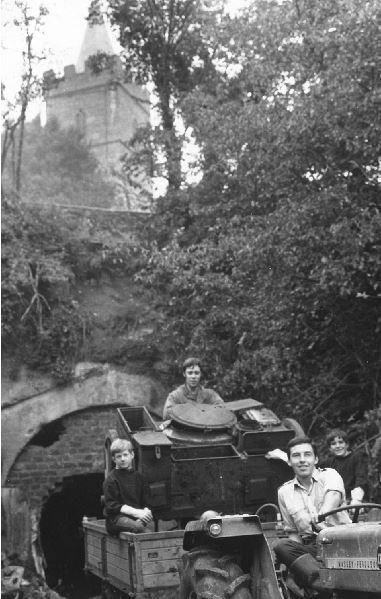 We feature this here, all because of serendipity – in the form of a power cut at Bulletin HQ! 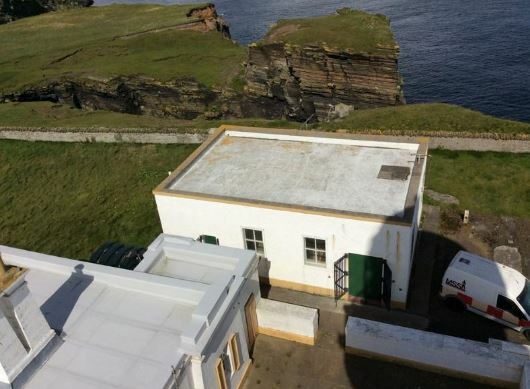 Our new Lighthouse Engine House HQ is currently undergoing a major refurbishment – picture of our UPB building and location: click here and here. After Hurricane Caroline, we had a major power cut. So all electrical systems have been off – especially the internet. Incommunicado. 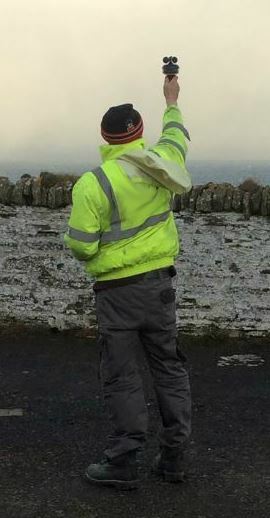 The genuinely heroic national grid linesmen and women went out into a truly ferocious blizzards and reconnected several hundred houses from nearby towns. 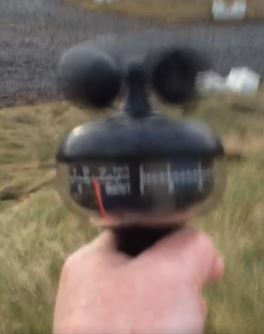 Here at our new HQ we recorded winds of over 90 miles per hour. 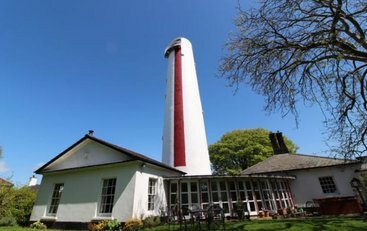 Odd to think that a 702 mile drive away from Stede Hill Water Tower in the far south (here), sits a water tower conversion for sale – with these words being written at a former lighthouse station in the far north. 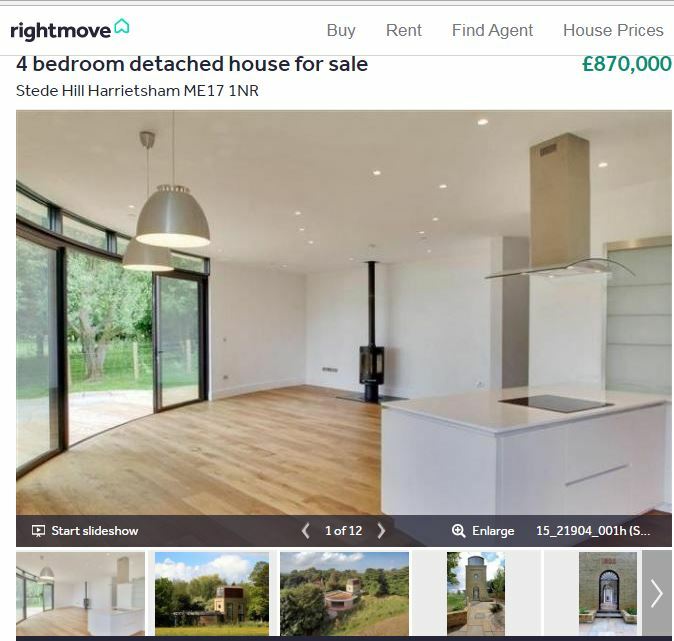 With a chance, albeit slim, that we can locate the buyer and introduce them to the owner of the unique property for sale in Harrietsham, Kent! 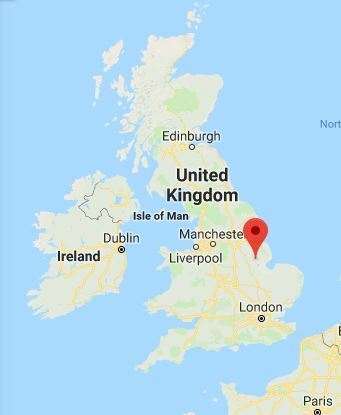 The wind up here at the top end of the UK is off of the scale. 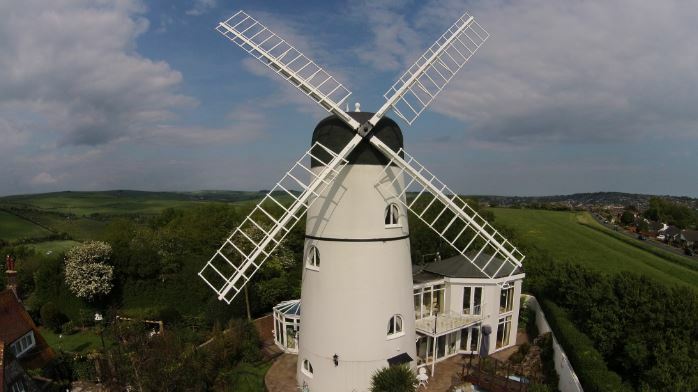 That wind could bring you a windfall of savings – in Kent! All of you soft Londoners, Mancunians, Cardiffians and Edinburgers please be thankful you have tons of cold-weather infrastructure. And candles! 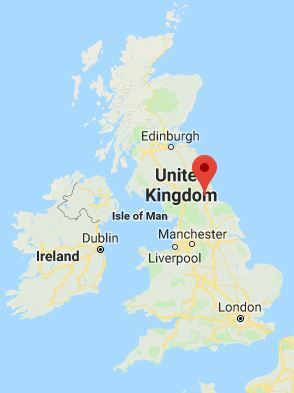 At the very top of the UK, we only had 50 tea-lights and they’ve all gone. Brrrr. 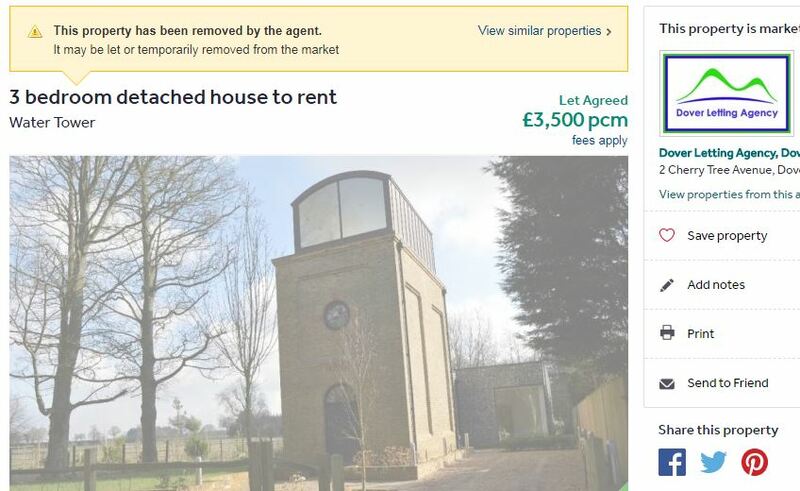 So the novelty of our being reconnected to the National Grid ended up with some serendipity that may bode well for folk looking to buy a bargain water tower conversion in the South East of England, over several hundred miles away. 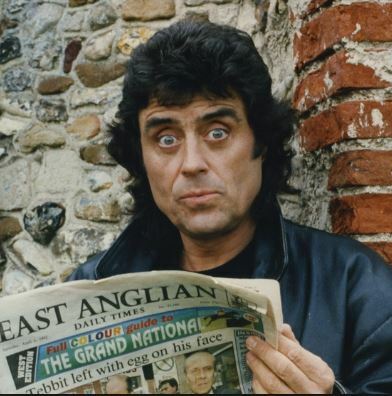 Normally, the daytime television is never on here at Bulletin HQ, but such was the novelty of having electricity reconnected, that the goggle-box was switched on in the background. Enjoying a session tapping at the Unique Property Bulletin computer keyboard for a completely different listing, something on the tv caught my attention. 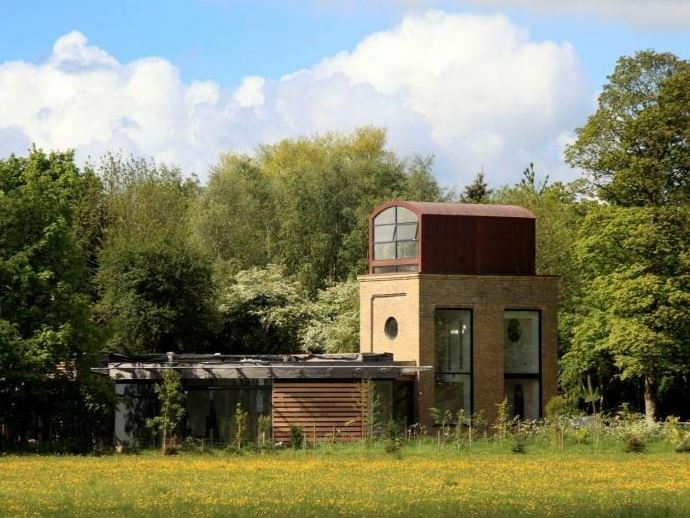 Because of a power cut last week, serendipity brought Stede Water Tower back onto our radar; and we can now present it to you for your review. 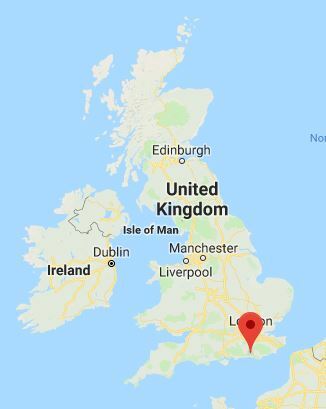 There is someone in the UK who would like a unique property in Kent. 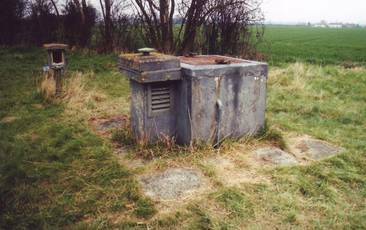 Our job is to help find that person and introduce them to the owner of Stede Hill Water Tower. Excerpt From This Week’s Active & Live Listing (17-12-17): £870,000. 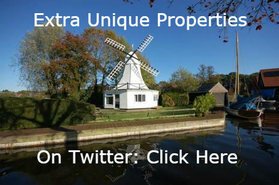 We believe it might be possible to negotiate this water mill down to a price beginning with the number “£7??,???”. If interested, please keep reading. 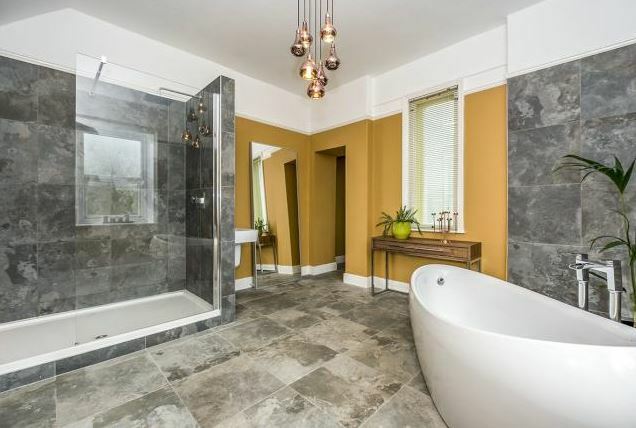 The original resale price of the finished refurb., at £1,195,000 was evidently far too ambitious and in the years since it first came up for resale, it has come down by over a third of a million pounds. 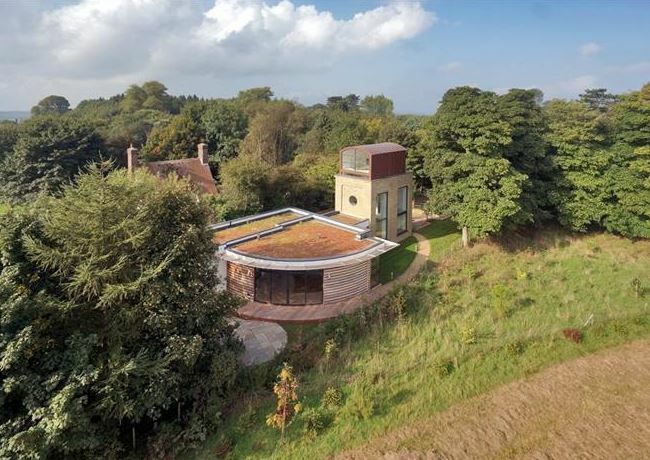 Methinks, and this is just a personal opinion, that Stede Hill Water Tower may have some further wriggle room on the current sale price of £870,000. 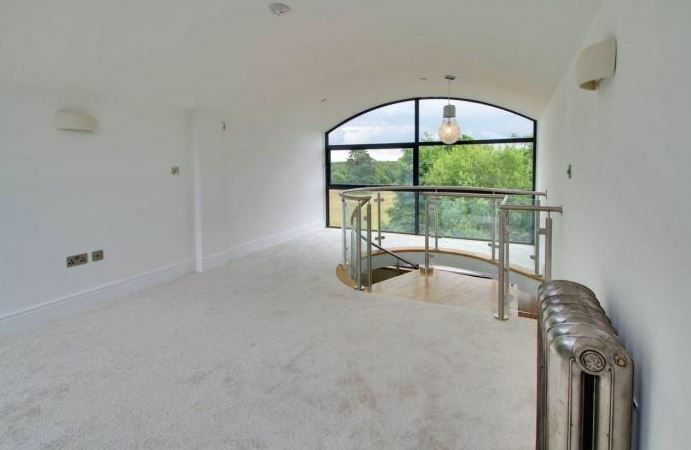 Were I still working down in London, then there would be a huge temptation to engage in price negotiation with the owner, as this unique property in the South East of the country is so very close to a sale. 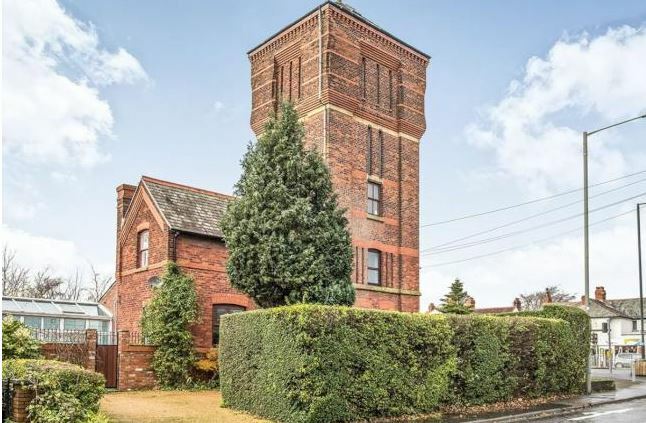 We love this water tower conversion and would be delighted to help secure a sale for the owner, and a new, amazing home for the buyer. 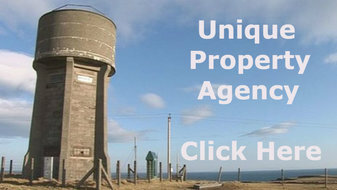 lf you would like some help negotiating to buy the Stede Hill Water Tower, please feel free to telephone us: 0793 557 2803. We do not normally get involved in direct efforts to sell/buy property. After all, this is just a not-for-profit website that has been accidentally successful (readership often tips over the 100,000 mark). 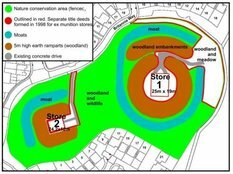 Plus our Unique Property Club is currently on it’s 25th building project for our core group of members and the three main volunteers here have over 100 directly owned building/purchases between them during the last 25 years, we do have a decent amount of track record that might be of use in helping you. So we would be more than happy to assist the buyer secure their dream home. 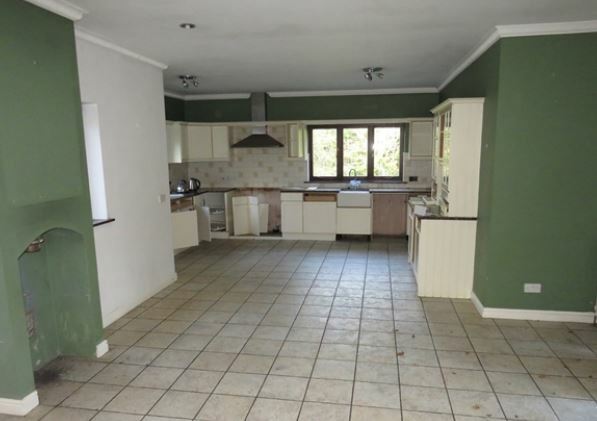 If we are retained by any of our readers and do achieve a further discount with a completed property conveyance at the end, saving the buyer many thousands of pounds, we would ask the successful purchaser to consider donating a 0.5% honorarium equivalent to the eventual purchase price if the efforts at Unique Property Bulletin prove successful for you. 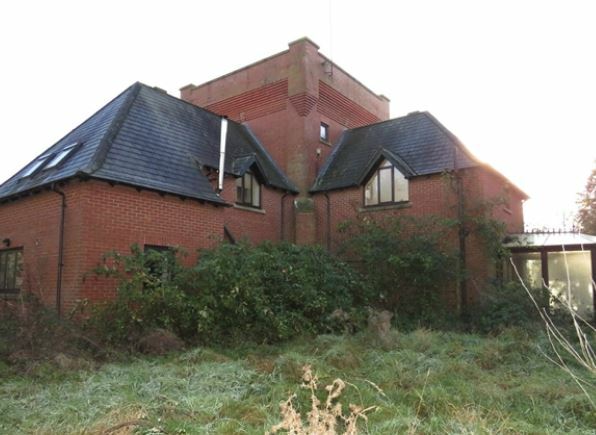 This donation will help secure the long term future of this website and our mission to inform and assist all those who are keen to live in an unusual home. After too many years on the shelf, this water tower deserves to have a sale go through. 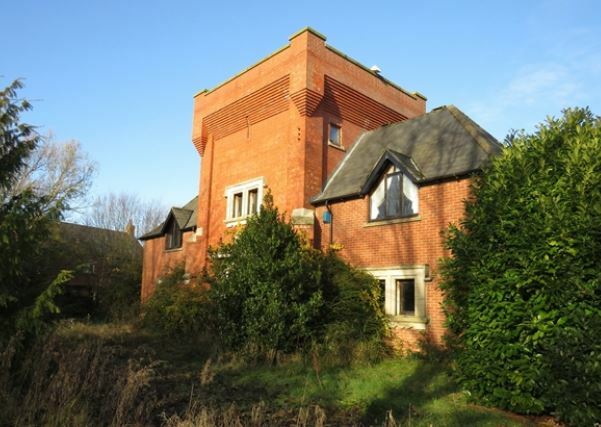 The owner has advised he could do with less stress, whilst amongst our thousands of readers, there is very possibly a buyer who would like to acquire this converted water tower.